Everyone is always looking for new ways to get stronger and yet still keep their mobility for their daily lives. However the problem is most get the wrong idea you have to choose one or the other. A good example is a strong barbell lifter that has zero mobility/flexibility drills in their program, and on the other side is a yoga enthusiast with zero strength training in theirs. The truth is both are needed, but don’t need to over emphasize by choosing one and ditching the other. The typical american sits between 7-8 hours and checks their phone up 200 times…per day. 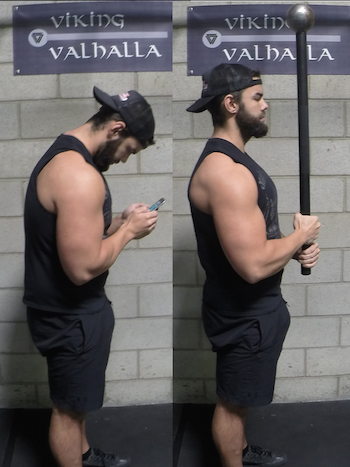 This epidemic has gotten so severe in american culture that we now have a named condition called “text neck” from years of flexing at the neck looking down at our phones with a rounded (hunch back) posture. This causes the shoulders to impinge and the hunched thoracic spine to becomes immobile (when it’s supposed to be the most mobile part of the back). So now the lumbar spine (the most stable part), needs to become mobile - which therefore causes a large number of low back pain issues. Kelly Starrett, a physical therapist and author of the book Deskbound - refers the spine as a neural hose line and if there’s a kink...we lose strength and stability instantly. Just as we talked about in the beginning: we don’t need to choose one versus the other with strength and flexibility. Maintaining both strength and flexibility is possible - we just have to break out of the typical linear mindset of movements. Barbell bench pressing, squatting, and deadlifts are all great lifts to increase strength and I’m NOT trying to detour anyone away from them. However, they go in just one back & forth direction and when you see how an athlete moves - they shift side to side and rotate pivoting off the feet to explode into different positions. So therefore an athlete’s position is never perfectly balanced symmetrically (as you would find on a barbell). 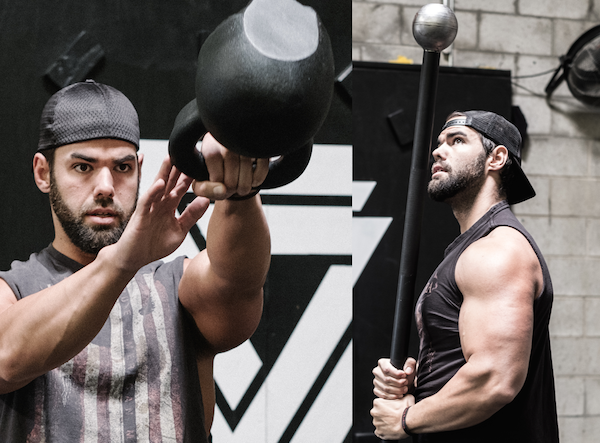 The steel mace is asymmetrically loaded as you would find in an athlete constantly side shifting and rotating the body in a specific sport (especially with throwing or striking techniques). I hope I gave a clear understanding on what steel mace training can do for your fitness regimen. It has been an absolute game changer for me to stay strong in what I love doing most (which is pressing a lot of weight over head = happiness) and keeps me mobile in my work field to demo hundreds of exercises (for students and videos) without pain at the end of the day.